Vendor: A Journey through Learning. 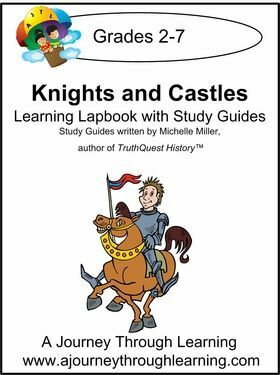 A Journey Through Learning provided me with four different lapbooks – Letters, Numbers and Shapes (ages 3-5), The Earth (grades 1-4), Knights and Castles (grades 2-7), and Astronomy and Space (grades 2-7). All are available for $13.00 as an instant download, there are other ways to order them as well). This is one of those cases where a company makes lapbooks and one goes over well and the other is a complete and total bust. So...we took a break from lapbooking and then relooked at the options. He didn't remember them so I, over the course of a week, let him look them over carefully, talking about the pros and cons of each. This is where it was SO NICE to have at hand each of the lapbooks so we could give them a thorough going over. It took five days of thinking and of looking them over, but he decided that Astronomy and Space was where it was at. I have to admit, we are playing around with this lapbook a bit. We are finding we want to explore some of the concepts a bit more in-depth, so we're borrowing from here and there to supplement, looking at lots of websites, searching out images and just enjoying our learning time. Now you might wonder...just how DOES one do a lapbook? AJTL actually has a page devoted to teaching you how to do a lapbook. You can find that here. You can do the filefolder method, I don't. I've done ONE lapbook using filefolders taped/glued/folded and said this simply isn't for me. What I do is put lapbook materials onto cardstock and simply three hole punch them and place them into a binder. By doing this, we can add to the study later if we want. Most lapbook have a topic per page, so adding additional information over time is quite easy. And that's the beauty of homeschooling... you can take a product and modify it to suit YOUR particular needs. And my boy doesn't mind lapbooking, last year we did a big one on spiders. Using cardstock means we can add to areas and modify them as we study on them more. :) Cool eh? When doing Knights I was discouraged by the author's flavour being added. Even the lad said "Mom, doesn't she like weapons? Why is she saying they are so bad or that she doesn't want to talk about them?" This of course led to a discussion on the fact that weapons can cause massive damage to people, that's what they are made to do, and the sometimes people find it difficult to talk about that. It was a bit disconcerting to have to have that conversation. I suspect this was part of the reason the lad disliked this study. What I would LOVE to see, or have as an option, was right in the pages of the study was some links to good sites so I wouldn't have to spend time searching for links to Stars and comets and questions people ask about the universe and such like. :) I recognize the nature of the internet is that sites disappear, links get broken so doing that might be a challenge, but it would add to the bounty that is in the Astronomy and Space unit. If you want to know what others think of the A Journey Through Learning products please click here or on the graphic below. And the buns get baked. We're going to have some cake. The lad, age seven March 2013. Website. Facebook. Twitter. Blog. Newsletter. This is a review for the book What I wish I knew at 18. 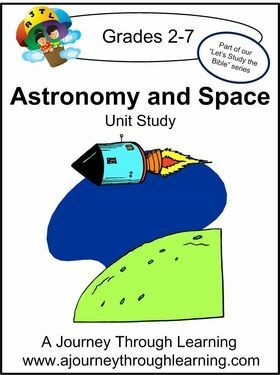 This book is written in a very conversational style which makes it an easy read. It is written with the high school graduate/college student in mind. I appreciated how the author would take time to have the reader take time to ponder the ideas presented. There were numerous "take five" opportunities throughout the book. The author really wants people to think about WHAT they are doing and WHY they are doing. I appreciated the fact that throughout the book the author encourages the reader to think beyond themselves, to actually be nice to those around them. To be respectful of others, even as he encourages the reader to stand up for themselves, to not be afraid to stick to their convictions. Having read some reviews before reading this book I was on alert for issues that some others have had, but I can't really say that I was bothered by anything in this book. The advice in the book is sound, but does it hold true (particularly in the love/marriage section) for ALL people. Of course not, there are exceptions to every rule, but in this day and age of easy marriage, easy divorce it is important to consider who your life partner will be. It is important to consider how you will respond to the societal pressures that will surround you in college and early career life. How will you let those pressures affect you and THINKING about these things before you get to college will stand you well in the long run, and that is the main point that the author is trying to make. Would I recommend that others read this book? Definitely. IF you have a high school student, get this book, read through it with them. Encourage them to think on these topics before they leave your house and have to deal with various decisions on the spot without taking the time to think it through first. 1. A must do: sign up to the Linky Tools in the side bar. Leave me a comment telling me you have done so. You do this by clicking on the words "follow me" and then just following the instructions. :) This does not send you a newsletter or any sort of information in your inbox, it just gives you a place to follow my blog if you so desire. 2. Optional: comment and tell me about a student you might want to give this to, or how you might use it with young people that you know. Discloser of Material Connection: I received this product for free from FlyBy Promotions in exchange for my honest review. I am disclosing this in accordance with the Federal Trade Commission. I was not required to write a positive review nor was I compensated in any other way. All opinions are mine. Tons of room to sleep in and what do they do? They find the SMALLEST container to make their bed in. They are VERY silly. But they make the lad smile and that's what matters. :) We hope to breed them come spring. Difference between an asteroid and a meteor. Article to be found here: Professors makes students "stomp on Jesus". I can understand the reasoning here. the class is one to make people think about what makes a culture a culture. To make them think about icons and religions and stuff. The professor is attempting to do this. BUT the implementation is wrong. The goal is not to make people STOMP on God but to make them realize that when you ponder something it tends to give it meaning. I don't know that a Muslim would have stomped on Jesus either as he is also a part of their religion. I found it interesting reading the comments ... so many people saying what they would have done. I find it easy to say "I would have done the same" but in a crowd situation sometimes people forget their convictions (much to their shame) but they do, they will often blindly follow the crowd. When people are faced with an authority figure telling them to do something, most people, particularly youth, will do as they are told without thinking about it. I credit this young man for not following the crowd and sticking to his convictions. He listened and chose to follow what he knew to be the better path. I would use this story (and hope to sometime) to teach young people what it means to stick to their convictions even if it means you will be punished unfairly (as this young man was). 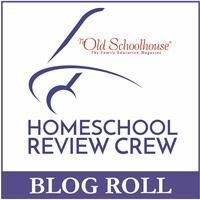 I, on occasion, do the word blog hop. I can't always fit it into my schedule but when I can, it is fun to do so. This weeks words are Captious and Asseverate. I've not heard of those words before so this should be a bit of a challenge. This Blog Hop is hosted by Hidden Valley Simplicity. The other day I was reading about how a contentious wife is like a dripping fountain (yes, it's biblical) and then last night I was watching Fringe and a line oft repeated was ... You need to make a choice about the kind of person you want to be. When I looked at the word captious it drew those two events together. A captious person draws attention to the faults of others, they are critical and liking to entangle others in arguments. I have a female rabbit with much the same personality. I love her to bits, but my...she keeps me on my toes. I also have to deal with a lady in my church who is rather captious. And I am finding that I NEED to change my attitude in regards to her. It is simply part of who she is and I must not take her attitude to heart about me PERSONALLY. I do so wish she was a person who could easily asseverate. People who do that are SO much easier to love. But you know what..... God doesn't call us to just love the easy to love people. He calls us simply to love....to especially love our Christian brothers and sisters. He doesn't tell us it will always be easy, but simply that we are to do it. So be a person who is Captious or be a person who can Asseverate, God's call on me is the same....LOVE them.